Adaption to changing environments is evolutionarily advantageous. Studies that link genetic and phenotypic expression of flexible adjustment to one’s context are largely lacking. 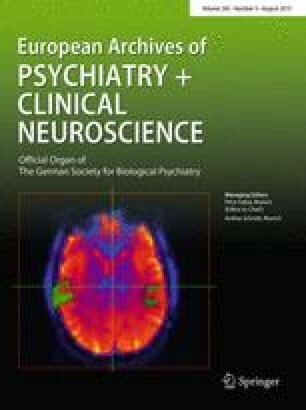 In this study, we tested the importance of psychological flexibility, or goal-related context sensitivity, in an interaction between psychotherapy outcome for panic disorder with agoraphobia (PD/AG) and a genetic polymorphism. Given the established role of the 5HTT-LPR polymorphism in behavioral flexibility, we tested whether this polymorphism (short group vs. long group) impacted therapy response as a function of various endophenotypes (i.e., psychological flexibility, panic, agoraphobic avoidance, and anxiety sensitivity). Patients with PD/AG were recruited from a large multicenter randomized controlled clinical trial on cognitive-behavioral therapy. Pre- to post-treatment changes by 5HTT polymorphism were analyzed. 5HTT polymorphism status differentiated pre- to post-treatment changes in the endophenotype psychological flexibility (effect size difference d = 0.4, p < 0.05), but none of the specific symptom-related endophenotypes consistently for both the intent-to-treat sample (n = 228) and the treatment completers (n = 194). Based on the consistency of these findings with existing theory on behavioral flexibility, the specificity of the results across phenotypes, and the consistency of results across analyses (i.e., completer and intent to treat), we conclude that 5HTT polymorphism and the endophenotype psychological flexibility are important variables for the treatment of PD/AG. The endophenotype psychological flexibility may help bridge genetic and psychological literatures. Despite the limitation of the post hoc nature of these analyses, further study is clearly warranted. We are grateful to all individuals who participated in this study. This work is part of the German multicenter trial “Mechanisms of Action in CBT (MAC).” The MAC study is funded by the German Federal Ministry of Education and Research (BMBF; Project No. 01GV0615) as part of the BMBF Psychotherapy Research Funding Initiative. The Principal Investigators (PI) of the centers with respective areas of responsibility in the MAC study are as follows: V. Arolt (Münster: Overall MAC Program Coordination), H.U. Wittchen (Dresden: Principal Investigator (PI) for the Randomized Clinical Trial and Manual Development), A. Hamm (Greifswald: PI for Psychophysiology), A.L. Gerlach (Münster: PI for Psychophysiology and Panic subtypes), A. Ströhle (Berlin: PI for Experimental Pharmacology), T. Kircher (Marburg: PI for functional neuroimaging), and J. Deckert (Würzburg: PI for Genetics). Additional site directors in the RTC component of the program are G.W. Alpers (Würzburg), T. Fydrich and L.Fehm (Berlin-Adlershof), and T. Lang (Bremen). The study was further supported by the DFG (SFB TRR 58 Z02 to JD and AR, C02 to JD, B06 to AR; DE357/4-1 to JD and AR; RTG 1256, to ARand JD). T. Töpner and C. Gagel are credited for excellent technical assistance. Drs. Gloster, Gerlach, Hamm, Höfler, Alpers, Kircher, Lang, Deckert & Reif report no conflicts of interest. Dr. Ströhle received research funding from the German Federal Ministry of Education and Research, the European Commission (FP6) and Lundbeck, and speaker honoraria from AstraZeneca, Boehringer Ingelheim, Bristol-Myers Squibb, Eli Lilly & Co, Lundbeck, Pfizer, Wyeth and UCB. He was a consultant for Actelion. Educational grants were given by the Stifterverband für die Deutsche Wissenschaft, the Berlin Brandenburgische Akademie der Wissenschaften, the Boehringer Ingelheim Fonds, the Eli Lilly International Foundation, Janssen-Cilag, Pfizer and Eli Lilly & Co. Dr. Wittchen is or has been on advisory boards of Servier, Pfizer, and Lundbeck. He also has received via his university grant support by Novartis, Lundbeck and Pfizer. Travel compensation for scientific meetings was received from Servier, Pfizer, Lundbeck, and Novartis.